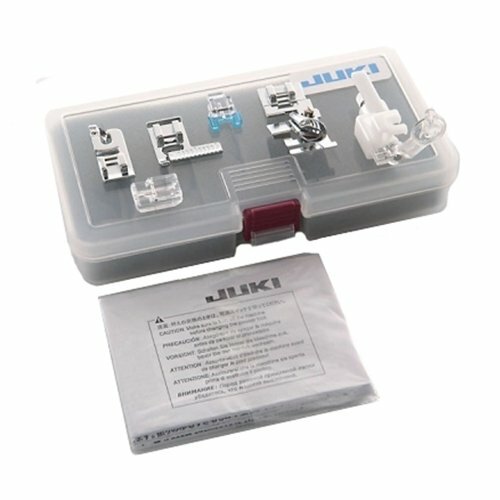 This convenient kit contains the most often used feet for all of your sewing projects. It works with the Juki F & G series machines such as the HZL-F300, HZL-F400, HZL-F600, HZL-G110 & HZL-G210. View More In Serger & Overlock Machine Accessories. If you have any questions about this product by JUKI, contact us by completing and submitting the form below. If you are looking for a specif part number, please include it with your message.